Not a week into my “Philosophy of Art” class, Stan Spector, Ph. D, made his predilections known: “The electric guitar was the greatest invention of the twentieth century.” It’s one of those self-evident statements that takes your breath away with the sublimity of its expression. Like a mathematical equation, it makes complete, beautiful sense after someone else has made it clear to you. Perhaps in the same breath, or at a different date entirely (but in reality, most likely by way of a T-shirt), Stan revealed that he was a ‘Deadhead‘. I can’t recall whether I was surprised or not. Stan employs the big gray beard customary of dead philosophers, but he’s probably much more jovial and friendly, than say, Plato. In fact, after a few months in his class, I can share that one of his favorite pastimes is cracking jokes at the expense of Plato. Does being a ‘Deadhead’ contribute to being a pretty cool guy? The answer might be found in this interview. As to what a ‘Deadhead’ actually is, I’m not sure the interview can answer that. Stan declined to make a general statement, as our first exchange shows. The most rudimentary definition of a Deadhead I can come up with is ‘someone who enjoys the Grateful Dead—a lot’. As one completely unqualified to speak on the matter, I declare that to be the rubric. Then again, following the interview I had with Stan below, I just may be on my way to bona fide Deadhead-dom. My only experience with the band prior had been a cursory lecture in a Popular Music class I took in high school. And all I managed to retain were the concepts of ‘acid tests’, ‘tie-dyes’, ‘bootlegs’, and the song title “Truckin’“. Maybe I just wasn’t ready back then. For years now, Stan’s been involved in an organization known as the Grateful Dead Scholars Caucus, and he provides an outline of the group’s impressive MO in the interview. Through a couple of sit-down sessions, I was able to extract from Stan information on the thriving Deadhead community. We discussed the philosophical and ‘transdisciplinary’ expeditions he has conducted, and also his extensive romance with a band I thought I knew something about, but didn’t really. At all. Stan and I recommend listening to “Morning Dew” before, during, or after this interview. Definitely at some point in your life. 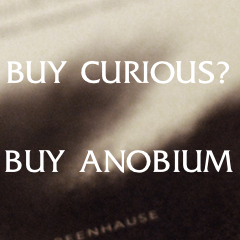 ANOBIUM: Illuminate what a ‘Deadhead’ actually is. STAN SPECTOR: Oh, I can’t speak for Deadheads. I can only speak for myself. A: Well, let’s say I went to an estate sale and walked away with ten Grateful Dead albums, including some live bootlegs. 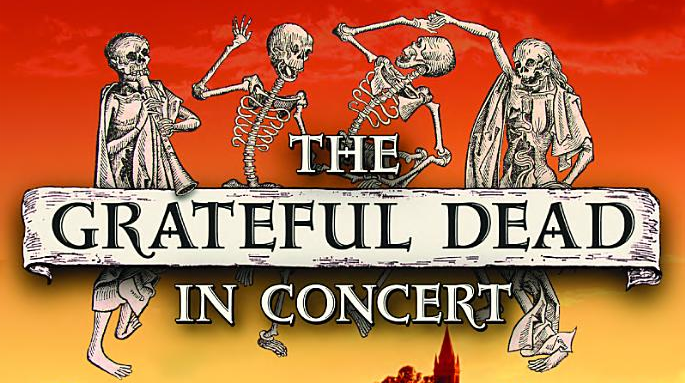 After listening to them, would I be a Deadhead? Or is it a “time and place” sort of thing? A: What was your first encounter with the Dead? SS: I can tell you exactly. A bootleg record from an October ’70 show. That just blew me away—I said, “Wow, what are these guys doing?” I had never heard anything like that before. In terms of my own musical history: my parents didn’t listen to much music; my sisters listened to classical; I was kind of a social misfit. I really liked the Beach Boys until Sgt. Pepper came along. [Laughs]. I didn’t like the Beatles until then, but when Sgt. Pepper came along there was just no turning back. As a senior in high school, my English teacher and his wife turned me onto the Band and Crosby, Stills, and Nash. I mimicked their taste for a while, but after I listened to the Grateful Dead—that opened up the possibility for all sorts of different music and art. That was the portal for me. A: Currently, what bands are you into? A: Never heard of ’em. SS: Of course not; they fly under the radar. [Laughs]. I liked Zero for a while, but they disbanded. Zero and the Grateful Dead overlapped in the 90s. A: Are Zero and Railroad Earth “jam bands” like the Grateful Dead? SS: I suppose. That’s the music that really appeals to me: “What are you doing right now? How’s it coming out?” Nobody else is the Grateful Dead, but they started a new style of music that a lot of other bands can copy. A band like Railroad Earth, a bluegrass band, plays in the style of the Grateful Dead, but they don’t play exactly like the Grateful Dead; they have different instrumentation and obviously the personnel is different. It takes a while to learn how to play that way. Jamming and improvisation are not clearly delineated terms. Some say that the music of Dixieland Bands is jamming while the music of the traditional jazz combos of people like Coltrane, Davis and Coleman, for example, is more improvisational, as individual musicians would solo in the context of the rhythm established by the other players. Other soloists would take their turn improvising a solo. The Grateful Dead combined these principles and expanded them into ensemble improvisation and jamming. What the Grateful Dead did that was unique was create spaces in the music where no one player was leading the music, instead each musician was soloing simultaneously. To play that way requires that each musician has a sense for what others are doing as he is free to improvise within the context of the song. I mean, you have an ear open for what the other members are playing, but you’re not responding to them directly. You’re playing to something else, all at the same time. That’s what I like in a band, the freshness and the spontaneity. I find that to be tremendous. Chaos doesn’t bother me. A: What quality about the Grateful Dead does Railroad Earth capture? SS: The qualities of the Grateful Dead that come to mind, besides the freshness and spontaneity, is how they are willing to take a chance and try new things musically. [The Grateful Dead] jammed, and they were a dance band. And their songs were musically interesting. The music and the lyrics had an emotional depth. Railroad Earth has something to say lyrically and musically; they have emotional depth and they’re a dance band. They’re very tight as a round-robin bluegrass band. But they also drop into moments like the Dead where everyone solos simultaneously. The virtue of a jam band is that every time you see them it’s a new show entirely. That keeps it interesting for me. Even when the band plays the same setlist a few days in a row, it’s a different show each night. A: Returning to the Grateful Dead, I know you’ve written about them with regard to Nietzsche in a book titled The Grateful Dead in Concert. SS: Right, that’s a book I edited with Jim Tuedio from Stanislaus State. It is a collection of essays focused on improvisation. My article discusses Nietzsche’s sense of morality and a world view that can be culled from the lyrics of some of the Grateful Dead songs. A: What does Nietzsche have to say about the Grateful Dead? SS: Well, actually, nothing directly since he died 65 years before they began playing. I think though he has quite a bit to say about the Grateful Dead experience, but it is not a simple answer. In his first work, The Birth of Tragedy in the Spirit of Music, he argued that the perfect art form in Ancient Greece was Attic tragedy because it expressed a perfect balance between the Apollinian and Dionysian tendencies in art, which for Nietzsche are also principles of life. So, the first move in applying Nietzsche’s thought to the Grateful Dead was to discuss the band in terms of these principles and determine if it could count as art. To do this though, following Nietzsche, we need to isolate the Apollinian and Dionysian principles, and we discover that both Apollinian dreams and Dionysian intoxications are characteristics of the Grateful Dead experience. But there is more in The Birth of Tragedy that speaks directly to the Grateful Dead experience. Nietzsche marked the beginning of our Western intellectual culture with the demise of tragedy, represented by Euripides who eliminated the Dionysian chorus, and the emergence of Socratic and Platonic philosophy, which eliminated both the Apollinian and the Dionysian and replaced that relationship with the single principle of rationality at any cost. Nietzsche lived at the end of the nineteenth century and suggested how the theoretical framework of a culture that celebrated rationality at the expense of everything else was limited and coming to an end. The Grateful Dead expressed this same idea in the second verse of “Dark Star” (which by the way is their signature psychedelic song) when they sang “reason tatters.” They too, like Nietzsche, recognized that reason has limitations. Nietzsche emphasized the activity of dance when he discussed the Dionysian, and of course fundamentally, the Grateful Dead always thought of themselves as a dance band. Although he stopped working the concept of the Dionysian for ten years, he did not stop emphasizing dance. In fact, it shows up in a central way in Thus Spoke Zarathustra, where the idea of the eternal return of the of the same in relation to dance is also emphasized. I find this idea to be helpful in understanding how each member of the band could solo simultaneously. A: Has your research led you to consider other philosophers in relation to the Grateful Dead? SS: Yes. Mostly, I have found philosophers in the Continental tradition have been very helpful, primarily because their emphasis has been on experience. Heidegger’s work on art helped me formulate more clearly my understanding of the role of the venues and the importance of the audience in our experience, and Merleau-Ponty’s work on the body and perceptual reciprocity helped me more systematically work with Nietzsche’s ideas. When I considered methodology, Foucault’s work on the formation of the human sciences was very influential. Deleuze, I believe, also is relevant to a discussion of the Grateful Dead, but I haven’t worked out the details of the argument yet. I also considered the Grateful Dead in relation to Plato’s Republic and concluded that the band would not be welcome there. A: On the subject of experience, which concert experience had the most impact for you? SS: I don’t know what to tell you—I saw them about 150 times, which is more times than some and fewer than others. To me, there were shows that were intense experiences and ones that were just a lot of fun. What I’m really coming back to is the sense of the variety of experiences that were possible at shows and not just “rapture.” I think you can reach rapture with music, but what I’ve done is begun to distinguish different listening states of which rapture is just one: different ways that you can hear a band while at a show. The one experience that I’m most interested in is the one where you’re not listening to the band, but playing in the band. There’s a set of moments where you’re aware of what’s going on, but you’re not treating the music as an object. You’re not just listening to notes, you’re simultaneously with the band. In fact, what triggered this for me was when before the jam was over I became conscious of coming back into the room with the band as they were preparing to go into the next verse of the song . This led me to consider the idea of consciousness without an object—not in some mystical or rapturous sense, but rather in an ordinary everyday sense. That brought me back to Merleau-Ponty and Gestalt psychology and the theory of figure and ground. There are a number of experiences in life where you’re aware of what’s going on, not in the sense of subjects and objects, but in the sense of all ground. It’s hard to articulate, but I’m trying. I had to talk about the way the band played, and that’s been an interesting experience for me because I’m not a musician. Stay tuned for the next installment, where Stan and I discuss more at length the Grateful Dead community, his philosophical approach to the band, and his work with the Grateful Dead Scholars Caucus.